There’s an artistic side to the picturesque seaside resort of Eastbourne that can often be overlooked. 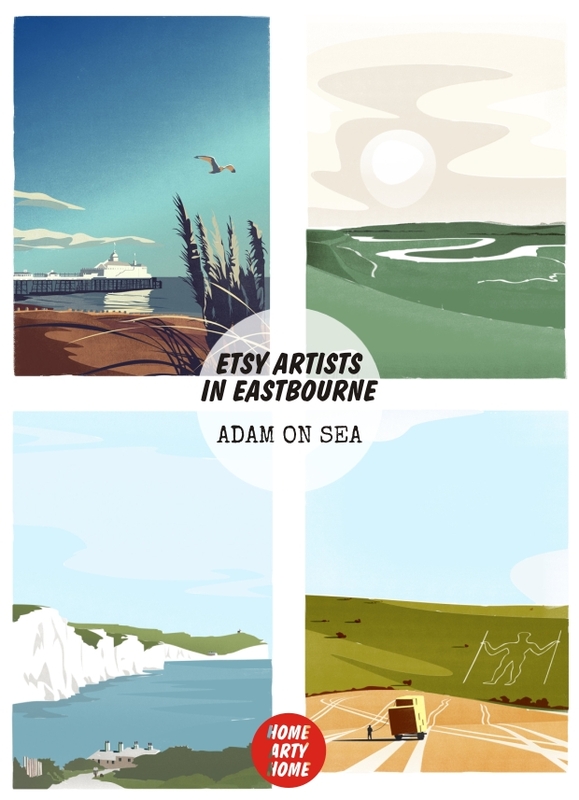 Whilst the town is famous for the pier (currently being restored after the tragic fire last July) and the air show called Airbourne, there’s a growing community of artists that are drawn to the light of the town. Protected from much inclement weather by the rolling South Downs, Eastbourne has the most sunshine per year of any place in the UK and has been nicknamed “The Sunshine Coast”. 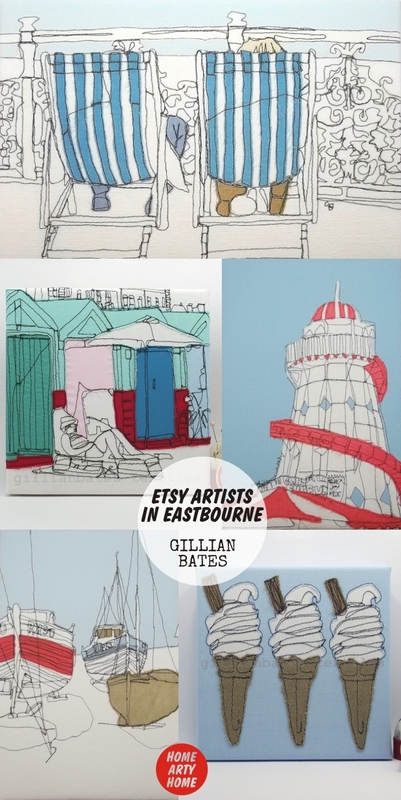 The Eastbourne Arts Festival is running from the 4th of July until the 26th and sees independent artists throw open their studio doors to welcome the public and demonstrate their process. Having visited a couple of open studios over the past few years, it’s interesting to see artists at work and get different perspectives on how each artist approaches their craft. Eastbourne is also famous for being the home of Eric Ravilious whose printmaking and watercolours have proved highly influential to the extent that the Towner (Eastbourne’s large revamped gallery) has a permanent area devoted to the artist, as well as prints available to buy online. Sadly the town isn’t known for a great selection of galleries. With the exception of the Emma Mason gallery which specialises in great work by past and present print-makers (but is only open on Thursdays, Fridays, & Saturdays), most of the independent art galleries in the town focus on twee and sometimes tacky pieces (if I never see another object “crafted” from driftwood it will be a day too soon), and even the Towner’s programme is an odd mix of the esoteric, bland, and inaccessible (yet strangely the gift shop offerings are obvious and readily available elsewhere). Thank goodness for the internet and the online marketplace Etsy which enables independent artists to present their work directly to the public. 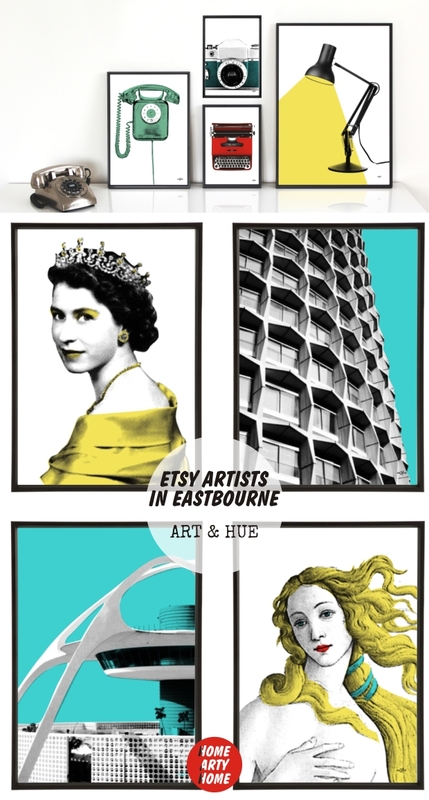 Here’s Home Arty Home’s selection of four Eastbourne-based artists producing great work that’s visually impactful, accessible, affordable, and stylish. 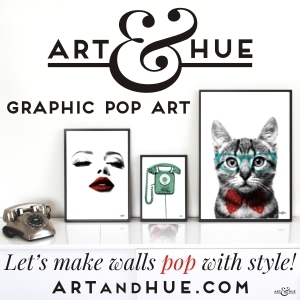 Graphic Pop Art on various studio themes as well as bespoke & custom options. Available at Etsy as well as the Art & Hue website and stockists Lime Lace, Made in These Isles, and Astella Hrela. Graphic landscape prints of the English countryside. Available at Etsy. 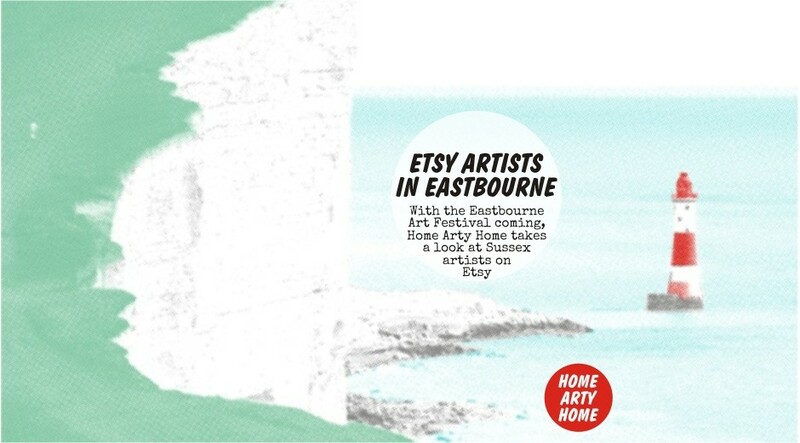 Home Arty Home loves Gillian’s delicately stitched seaside vignettes, also available as printed canvas postcards. 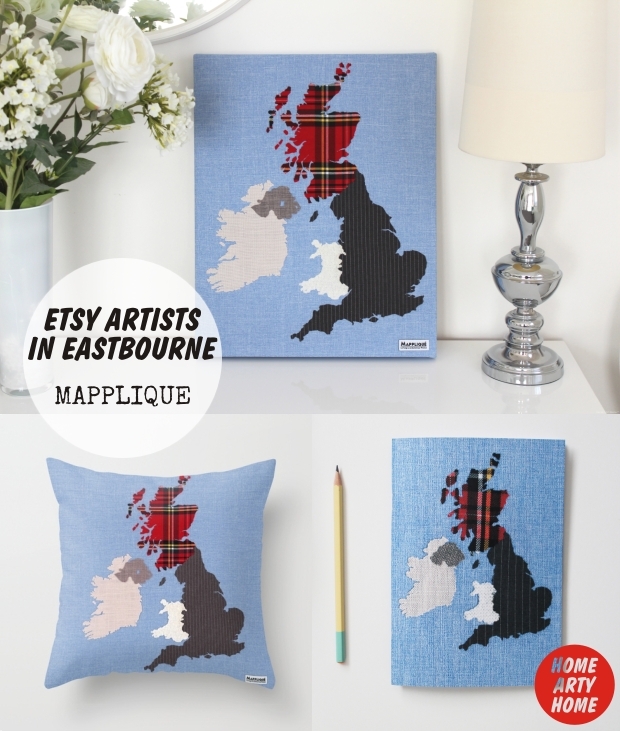 Available at Etsy plus her own website & John Lewis.